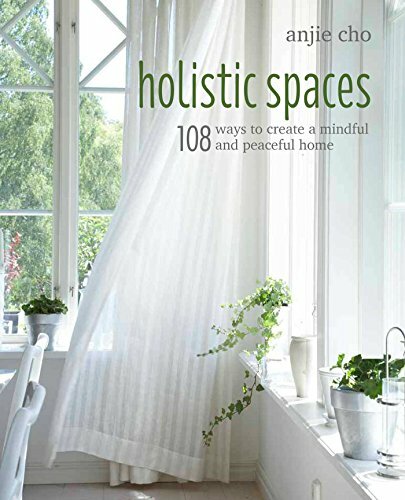 This week Holistic Spaces caught up with Dawn Gluskin, from Dawnsense.com. Dawn is one of my favorite twitter personalities and is dedicated to living a successful life full of zen and peace. Check out our chat below, where we talk Type A Zen, meditation, daily gratitude and more! AC: You talk a lot about Type A Zen in your social media posts. What does that mean? DG: I’ve been a ‘Type-A’ all my life, which, to me, means highly driven, motivated, with big goals and willing to put in the time and work hard. But, from the outside, this same personality type can also be considered a workaholic or someone that has blinders on to all the rest of the beauty that life has to offer outside of work and achievement. At some point, I came to terms with my own perfectionist traits and realized that I never stopped to celebrate my successes, and frankly, wasn’t happy. My life was a constant focus of one big goal to the next. In recent years, I’ve counter-acted that with lots of introspection, yoga, meditation, self-care and just an overall deepened spiritual practice. Now, I am still super-driven, but not so attached to the outcome. I find happiness in just be-ing and not artificially through achievement. Type-A Zen is also the title of my forthcoming book, where I talk in more detail about my own life experience, offer jewels of inspiration, and share the stories of some other amazing women who’ve lived their own Type-A Zen stories that go from chaos to clarity and love. You're very involved in yoga and meditation. Do you think one of these would work as well without the other? How do they relate to you? Sure, you could do one without the other, but they really do go hand in hand. Both involve focus on breathe and cultivate mindfulness. The difference is in meditation, you are completely still, and in yoga you are syncing movement with your breathe. Both practices allow you to connect more deeply to yourself, find your center, and your peace, which are all such beautiful and lovely things and why I incorporate them into my daily practices. For me, they are what help to fuel the ‘zen’ and ‘spiritual’ aspects of my being. What led you down the path you're currently on, of taking care of your body inside and out? I’ve also been into fitness, but I think it used to be fueled by the wrong motivation: vanity and my perfectionism (you know — gotta get that perfect body and be in shape). But, since I’ve deepened my spiritual practices, my motivation behind everything has changed. I look at wellness from a holistic perspective: mind, body, and soul working in harmony. Now, I work out to feel good and to take care of the temple that is my body. The ‘vanity’ portion doesn’t really play into it, and the perfectionism is out the window. I feel better than ever from the inside out. What does it mean to be a Zen Rebel? Zen Rebel is a little movement I’ve started and wish to grow in the years to come. It’s about living a healthy, spiritual life, being of service to others, living your truth … but without any pretension. In other words, you can drink green juice in the morning and still have a glass of wine at night. It’s permission to do no harm, but also take no sh*t! It’s a concept to make spirituality and expanded consciousness accessible to all. You can strive to live a purpose-driven life and make a positive difference in this world … and still leave room to be perfectly imperfectly human too! Right now, I’m getting together with a few designers and experimenting with different distribution and e-commerce platforms to sell yoga-inspired clothing and jewelry and raise money for causes near & dear to my heart. You're a huge advocate of daily gratitude. Tell us a bit about what gratitude does for you in life. What tips would you give my readers to lead a holistic, healthy and happy life? It all starts within. Go inward to discover your true passions and purpose in life. We can only give from an overflowing cup (not an empty one). So, fully love, accept, and take care of yourself first and everything else will fall into place. How have you created your own holistic space? Dawn Gluskin is author of forthcoming book, “Type A Zen.” Formerly founder & CEO of a 7-figure technology company that she founded in her living room, Dawn is no stranger to hustle, but was also no stranger to high-stress living. In working with so many other women in business, she quickly learned that the modern day super woman’s “having it all” can come with a high price tag. Through mindfulness practices: yoga, meditation, journaling and a lot of self-reflection, Dawn has found much joy & peace in her own life … while still keeping her business chops & motivation. She teaches and inspires others how to do the same by redefining ‘success,' turning inwards and living life from the inside out!